Who could resist a cake with this name? Not me. And so, one morning before work last week, I whipped this up. The most difficult part was deciphering the faded and smudged script on the handwritten recipe. I think the "wacky" part of the name comes from the unusual method, which involves melting the shortening, cocoa and water before mixing it with the dry ingredients. This cake couldn't be easier to make (I still got to work on time that morning) and it was delicious. The original scanned recipe is below, and below that is my interpretation. Preheat oven to 350 degrees. Mix sugar and flour. Heat butter, cocoa and water in a sauce pan until boiling point. Pour hot mixture into dry ingredients and add the buttermilk (into which you've mixed the baking soda), egg and vanilla. Mix well and pour batter into a greased and floured 8 inch square pan. Bake about 20 minutes until a toothpick poked in the center of cake comes out clean. Put butter, cocoa and milk into a pan. Heat until it begins to boil. Remove and add sugar and vanilla. Mix in coconut. Pour over hot cake and then sprinkle with nuts. Enjoy! You are fabulous, Susan! Can't wait to try Wicky Wacky. My Mom's 3-ring-binder of recipes is one of my most-loved inheritances. That said, this is the same, normally generous mama, who once refused to share with me her recipe for lemon yogurt cake. And I was her only child! Thanks for the kind words, Randal and so glad you found me! Love that story about your mother. Lemon yogurt cake is a classic French cake, one of the few that Parisians make at home. Well, what do you know?! I'm delighted to hear that my all-American Mama could bake like a Frenchwoman. Thank you SO much for that fun info. Bake on, Susan! And your writing is wonderful too. Have you read "Growing Up on the Chocolate Diet"? Out of print, but can get used copies. Favorite memoir of recipes and funny personal history by Lora Brody. Published 1985 & again in 1990. Thanks to Randal for leading me to your blog. I tried the Wicky Wacky chocolate cake for friends and family last weekend. It was very easy and super delicious. I thought it would be lighter but it was more like a thick brownie. The coconut was a nice touch (I used unsweetened, non sulfured flakes). I also made toasted almond ice cream to go with it. A great combo. Thanks for sharing soooo much. Thank you for your recipe. I orignally found a Wicky Wacky cake recipe in a newspaper in the seventees and got my daughter to make it when she was about 16. She is now 34 and wants to make it for her family. (She married a Thaiwanese) I have lost the recipe BUT thanks to you and the internet she can prepare it for her famlily. Kind regards Silvia Short-Dreyer, Somerset West, Cape Town. South Africa. @Marla: Thanks so much for writing (and my apologies for not responding sooner). The toasted almond ice cream sounds amazing! 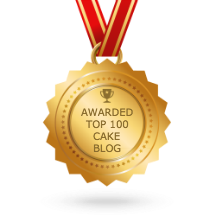 @Silvia: So glad A Cake Bakes could be of service. 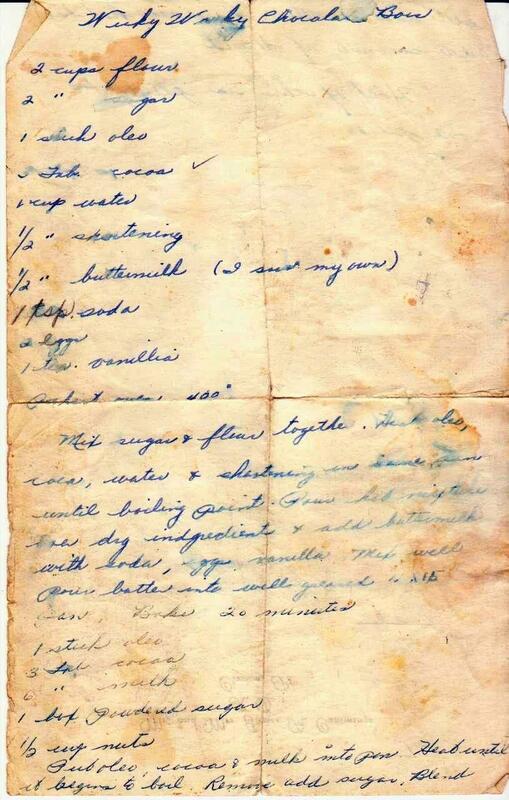 I love the idea that this c. 1950 American recipe was searched by someone in South Africa! Best of luck to your daughter in preparing this. How may grams of butter is 1 stick please? Hi Kim -- It's 113 grams (4 ounces).